Press play for an announcement from the Smash Boom Best team! It's an all-you-can-eat buffet of difficult decisions in one of our toughest match-ups ever. In one corner, it's cheesy, shareable, savory-sauced pizza. And in the other, it's spicy, portable tacos deliciosos. What are you having? 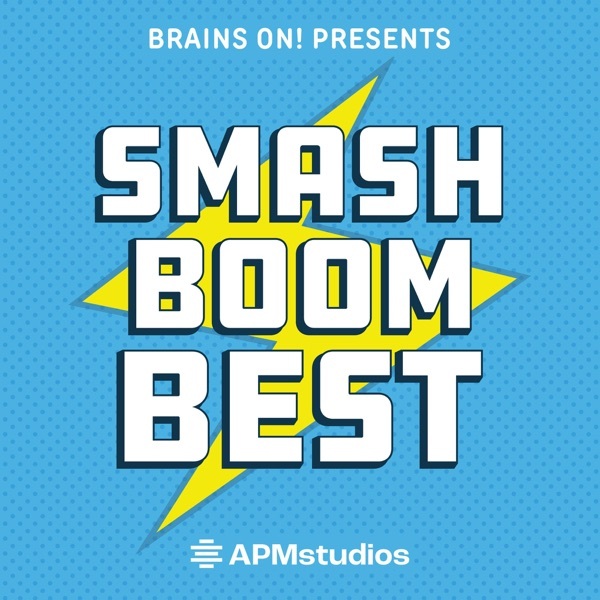 Vote for your favorite here: https://goo.gl/forms/79I0us5FUt4BZdqw1 Smash Boom Best is sponsored today by Audible (audible.com/boom) and KiwiCo (kiwico.com/boom). We’re pitting noble medieval fortresses against naturally-made chambers of wonder. Which do you think is cooler: castles or caves? Our debaters aim to settle this millennia-old rivalry once and for all. Are you Team Castle or Team Cave? Vote here: https://goo.gl/forms/xFJGvYuCgatMuJ782 Today’s episode is sponsored by KiwiCo (kiwico.com/brainson). In one corner, human’s best friend, licker of faces, chewer of toys -- it’s dogs. And in the other corner, sleek and graceful, free pest control with a cute face to boot -- it’s cats. Are you Team Cat or Team Dog? Head to smashboom.org to cast your vote! Ready for some mystery? This Smash Boom Battle takes on two famous places: the Bermuda Triangle and Loch Ness. Which is cooler? Is it the Bermuda Triangle -- a puzzling patch of ocean where ships, planes and plenty of people are said to have disappeared? Or is it Loch Ness -- a Scottish lake best known for spooky sightings of a long-necked creature? Listen to hear what our judge decides and then head over to smashboom.org to share your opinion with us! Wings out, eyes wide -- we’re swooping in on a battle between a perfect pair of creatures of the night. Which is cooler: Bats? Or owls? We’re going to hear lots of facts and feelings from our debaters: Brandi Brown and Katie McVey. Who will be chosen the Smash Boom Best? Listen to hear what our judge decides and then head over to smashboom.org to share your opinion with us!